Is Invisalign the Right Treatment for Your Teen? Teenagers have a lot going on in their lives, which can be tough to deal with during such a crucial stage of development. Invisalign offers a way for teens to improve their oral health in a way that is both physically comfortable and cosmetically discrete. Keep reading to see if Invisalign is the right treatment for your teen. 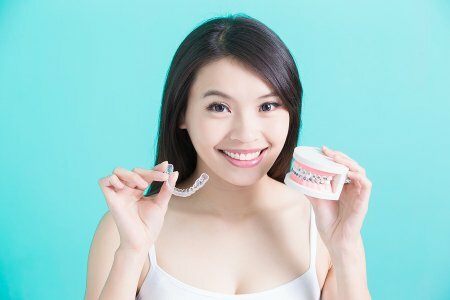 Conventional braces were once the orthodontic treatment of choice, but Invisalign has since taken over as a more attractive procedure for people of all ages. Invisalign uses clear plastic trays called aligners instead of wires and brackets, and they’re much more comfortable to wear. These aligners are also removable, so your teen can take them out when eating meals and going through his or her dental hygiene routine. They can also be taken out in favor of mouthguards, which helps protect your teen athlete’s teeth. It’s important that your teen stay comfortable throughout treatment, but cosmetics are an issue of concern as well. Teenagers need to feel loved and accepted by their peers, but it’s also important for them to feel like they’re attractive. Bulky braces are distracting, and they can detract from your confidence. Invisalign aligners, on the other hand, are practically invisible, and most people won’t realize you’re wearing them unless you tell them. Teens who use Invisalign don’t feel like they have to take a step back in their appearance in order to enjoy a better smile in the future. Comfort and aesthetics may attract your teen to Invisalign, but there’s no point if the treatment doesn’t improve his or her oral health. Each set of aligners is slightly closer to the end result, so the trays gently shift teeth into the correct position. Teens also benefit from removable aligners because they can take them out when they brush their teeth, making it easier to do a good job. Call Park 56 Dental at (646) 783-3529 if you think Invisalign in NYC is right for your teenager. You can also visit our dental clinic or our website to learn more about our services and our dentists. It’s becoming more common for young people to express themselves with tattoos and piercings, but even the best dentist in NYC can’t protect you from the oral health risks that tongue piercings bring about. Watch this video to learn more. The act of getting your tongue pierced can be risky in itself, but problems could develop from your jewelry at any time. Body modification regulations are different in different states, so many piercers aren’t medically trained. Even when you go to a shop that follows strict regulations, a metal barbell could crack your tooth or cause an allergic reaction after the piercing has healed. It’s better to prevent oral health problems than it is to have to treat them. If you need a dentist in NYC, call Park 56 Dental at (646) 783-3529 and make an appointment with our dental clinic to come in for a checkup. You’ve heard of dental implants being used to treat missing teeth, but what if you’re missing an entire arch? Thanks to All-on-4 implants, you can replace entire arches or even your whole set of teeth at the same time. Implant technology offers many benefits over traditional dentures, and the added confidence will give you a reason to smile. 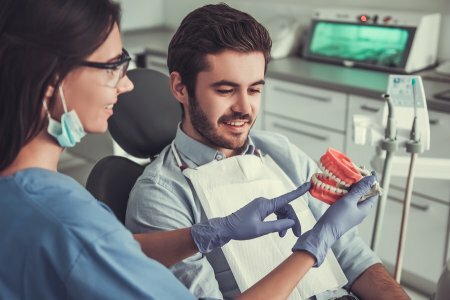 If you’re missing all of your teeth, replacing each one with an individual dental implant would be an extensive procedure that would come with a multitude of risks. Now there is a long-term solution for your missing teeth that’s both safe and practical. All-on-4 treatment can replace a full arch of teeth at a time using just four dental implants. Each implant serves as an anchor to keep your new teeth in place and stimulate your bone, which prevents bone resorption and maintains the shape of your face. Dentures work great for some people, but others run into so many problems that they don’t feel like it’s worth it to wear them. Dental implants and the All-on-4 procedure solves some of these problems. Since they’re anchored to your jawbone, your implants won’t move around in your mouth the way dentures tend to. You’ll never lose them, and you won’t have to soak them when you go to sleep at night. All-on-4 implants are also sturdy like your natural teeth and will allow you to eat comfortably again. Your smile is immediately impacted when you lose your teeth. Although dentures can replace your teeth and improve your smile, they can take away from your confidence when they slide around. All-on-4 implants will also replace your teeth and restore your smile, but they’ll stay in place at all times. Eating comfortably and talking without worrying about your teeth slipping will improve your confidence in addition to your smile. Root canals, veneers, and dental implants are a few of the life-changing treatments the team at Park 56 Dental can provide. 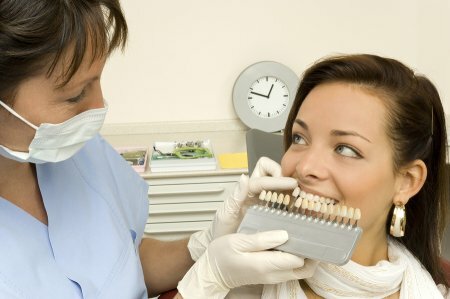 Give us a call at (646) 783-3529 to set up an appointment with our dentist’s office near NYC today.